The disclosure is found in 16 pages of FBI documents related to the infamous June 2016 tarmac meeting between former Attorney General Loretta Lynch and former President Bill Clinton. The FBI  originally informed Judicial Watch it could not locate any records related to the tarmac meeting. However, in a related FOIA lawsuit, the Justice Department located emails in which Justice Department officials communicated with the FBI and wrote that they had communicated with the FBI. As a result, by letter dated August 10, 2017, the FBI stated, “Upon further review, we subsequently determined potentially responsive documents may exist. As a result, your [FOIA] request has been reopened …” This is the second batch of documents the FBI produced since telling Judicial Watch they had no tarmac-related records. So this makes two cover-ups! In November 2017, we revealed 29 pages of FBI documents showing officials were concerned about a leak that Bill Clinton delayed his aircraft taking off in order to “maneuver” a meeting with the attorney general. The resulting story in the Observer was discussed in this production of documents. The Strzok email was absent from this production. Another Strzok email suggest the decision on the Clinton email matter has been under discussion since April 2016—three months before then-FBI Director James Comey announced he would recommend no prosecution. These emails are simply astonishing. No wonder the FBI hid them from the court and Judicial Watch. 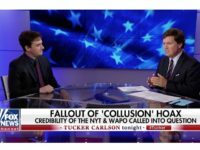 They show anti-Trump, pro-Clinton FBI Agent Peter Strzok admitting the decision not to prosecute the Clinton email issue was made back in April 2016 – long before Hillary Clinton was interviewed. And the new emails show that the FBI security had the political objective of protecting then-Director Comey from ‘embarrassment’—which is, frankly, disturbing. 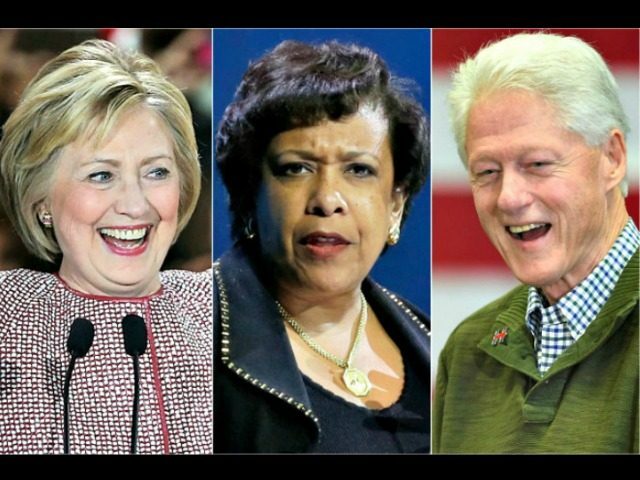 Here’s additional background: On June 27, 2016, Attorney General Loretta Lynch met with former President Bill Clinton on board a parked plane at Sky Harbor International Airport in Phoenix, Arizona. The meeting occurred during the then-ongoing investigation of Mrs. Clinton’s email server, and only a few days before she was interviewed the Justice Department and FBI. (We filed a request on June 30 that the U.S. Department of Justice Office of the Inspector General investigate that meeting). These latest documents are more evidence that the arrogant FBI assumed its secrets would never see the light of day. Judicial Watch proved them wrong.